“Are we traveling today?” That’s what Wingate Elementary School kindergarten teacher Kim Hearn hears from her students just about every day. That’s because her class has been participating in a project called “Christmas around the world” that allows her students to learn about holiday traditions celebrated in different countries. Traveling on faux airliner called Eagle Air, kindergarteners in the three classes have been taking pretend trips to different countries. It’s part of holiday-themed social studies curriculum that focuses on how people in different countries celebrate Christmas and other holidays during this time of year. 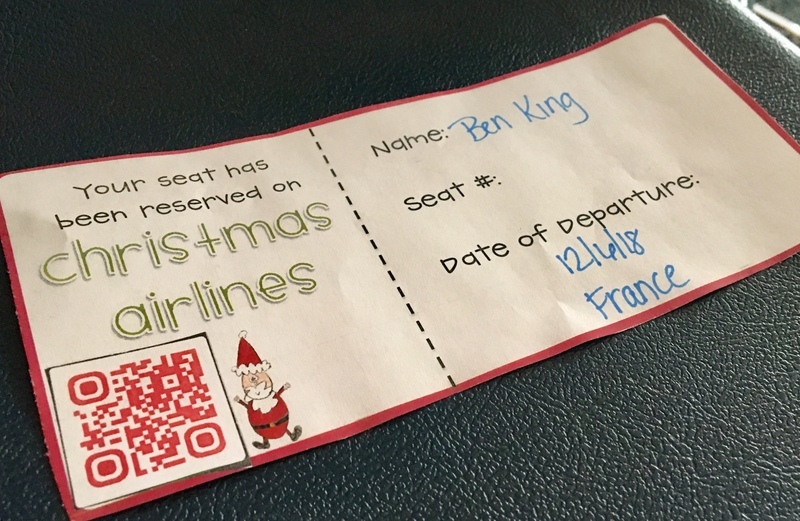 As students enter their classrooms through the Soaring Eagle Terminal, they receive a ticket at the gate – their classroom – valid for a one-stop trip to another country. They check in and then take a seat on a faux airplane in what looks like the inside of a fuselage. So far, they visited Germany, Italy, England, France and the Netherlands. During their trip to the Netherlands, students learned about the Dutch tradition of Sinterklaas – a figure based on St. Nick who is said to leave gifts for children who leave their shoes out by a fireplace. They also plan to travel to Israel to learn about how residents there celebrate.